Scott Thompson had only been in the job for six months before someone noticed he couldn’t have earned the degree he said he had. 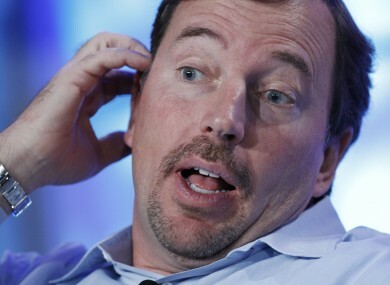 THE CHIEF EXECUTIVE of web giant Yahoo! has resigned after days of turmoil following the revelation that his CV included details of a computer science degree which he couldn’t possibly have earned. Scott Thompson had faced a growing clamour to quit after a vocal shareholder pointed out that his CV included the claim he had obtained an undergraduate degree in computer science and accounting from Stonehill College in Massachusetts. The Guardian reports shareholder Daniel Loeb, who represents the Third Point hedge fund controlling 5.8 per cent of Yahoo!, had correctly noted how this was impossible – as the college did not offer a computer science qualification at the time Thompson had attended. It subsequently clarified that Thompson had only obtained the accounting qualification, prompting Thompson – who had only been in the job for six months – to blame the HR company which had been tasked with finding a replacement to previous CEO Carol Bartz last year. That firm, Heidrick and Struggles, said Thompson’s claim that they had made an error in compiling his CV was “verifiably not true”. It later emerged that earlier versions of Thompson’s CV also included the erroneous claim, particularly in his previous career as chief executive of PayPal, and that Thompson was also in breach of the company’s rules by sitting on the boards of two other public companies. The furore has also claimed the job of Patti Hart, the Yahoo! director who oversaw the search for the new CEO, who said after a board meeting that she would not be seeking reappointment. The Wall Street Journal, however, this morning reports that Thompson had disclosed to directors late last week that he had been diagnosed with cancer, and that this had partially responsible for his decision to step down. Thompson will be succeeded by Ross Levinsohn on an interim basis. As part of its moves to appease Third Point, Yahoo! has now appointed Loeb to the board of directors. Email “Yahoo! CEO quits after expose of 'fake' computer science degree”. Feedback on “Yahoo! CEO quits after expose of 'fake' computer science degree”.